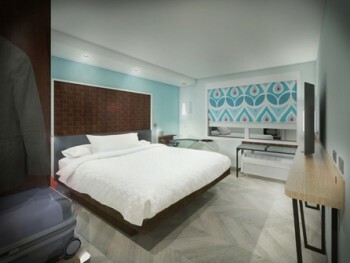 Hilton launches (yet another) brand – are you in the ‘youthful mindset demographic’?! 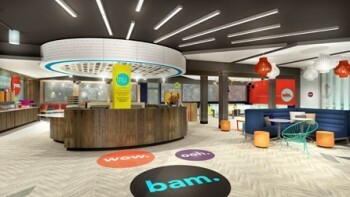 Hilton announced a brand new hotel brand a couple of weeks ago – Tru. You won’t be seeing one of these anywhere in Europe for a while, but it interesting to see where it will be positioned. Fundamentally, hotel chains have usually equated ‘budget’ with ‘dull’. Your average ibis or Holiday Inn Express hotel does not exactly set the pulse racing. Interesting, modern design does not necessarily cost more than tediously boring design and there has been a move to develop brands which operate at low price points but are attractive to ‘youthful mindset demographic’ travellers. 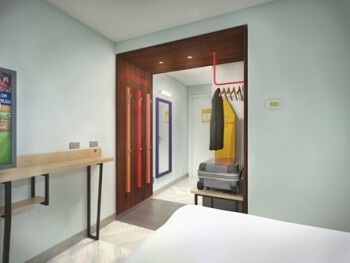 Starwood’s Aloft brand is an example of a brand which is targetting this market, although the pricing of these hotels is more Holiday Inn than Holiday Inn Express. I reviewed the Aloft at Excel in London here, and was impressed. They are also in Liverpool. There are apparently over 100 development agreements signed for Tru although all are in North America so far. I have generally been impressed with stays at Aloft and similar hotels and I think this may work out OK for Hilton. Wow, they’ve done a good job of making it look tacky. And why such ill feeling towards desks….I class it as an essential, even on leisure stays. Stayed at a new HIX in London the other week and they’d gone for a podium-style table with an easy chair making it totally impractical for working at. Sigh. Another brand using a misspelled word as its name. I’m 41 and a bit and while some of the design is a bit [email protected] (Bam, really?) the basic concept, style and appearance works fine for me. Am also a fan of Citizen M and Motel One. I have a very youthful mindset….for a retiree . Ooh, Wow, Bam. And singing as well.